Mon., Jan. 29, 2018, 9:26 p.m.
DETROIT – The Detroit Pistons were finalizing a trade Monday night to acquire star forward Blake Griffin from the Los Angeles Clippers, according to a person with knowledge of the deal. The person spoke on condition of anonymity because the trade had not been announced. The Pistons would send forward Tobias Harris, guard Avery Bradley and center Boban Marjanovic to Los Angeles, with the Clippers also receiving draft picks. Detroit also would receive forward Brice Johnson and center Willie Reed. ESPN first reported the deal. 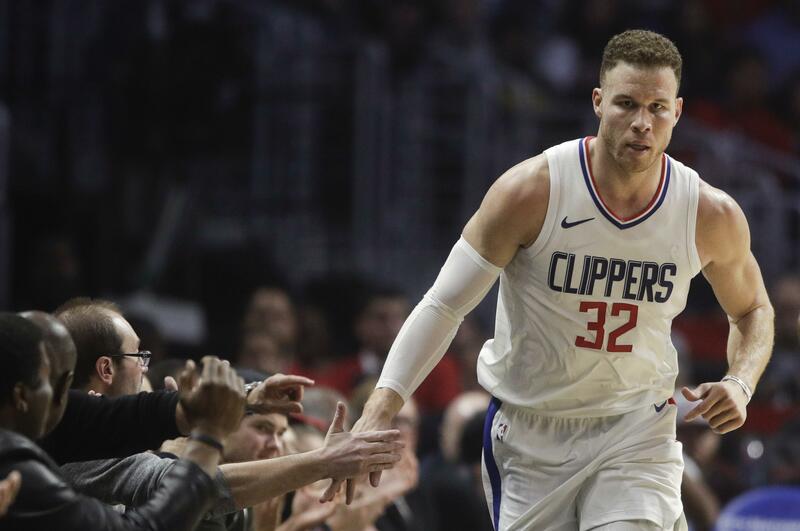 Griffin is averaging 22.6 points, 7.9 rebounds and 5.4 assists in 33 games this season, but the Clippers have been plagued by injuries and are ninth in the Western Conference standings. Detroit is struggling as well. The Pistons have lost eight straight heading into Tuesday night’s game against Cleveland. The deal didn’t include a no-trade clause. The Clippers drafted Griffin first overall out of Oklahoma in 2009. However, he missed the 2009-10 season after surgery on his broken left kneecap, the first of several injuries that have marred his career. Griffin missed 21 games last season and 47 in 2015-16 because of injuries. As a rookie, he was an All-Star, won the slam dunk contest and was named NBA Rookie of the Year. He has averaged 21.6 points, 9.3 rebounds and 4.2 assists in his career. Detroit’s season was looking promising until a late-December injury to point guard Reggie Jackson. The Pistons have stumbled while he’s been out with a sprained right ankle. The addition of Griffin would give Detroit’s frontcourt another standout alongside Andre Drummond, but it also would represent a clear change in course from the roster that the Pistons had assembled. Detroit acquired Bradley in a trade with Boston last offseason, but he’s in the final season of his contract. Harris has been impressive for the Pistons this season, shooting a career-best 41 percent from 3-point range. Although neither team announced the deal Monday, there was plenty of reaction on social media. Harris had a message on his accounts thanking Detroit for its support. Griffin’s Twitter account had its own message with no words – just an image of actor Will Smith with a surprised expression on his face. For the Clippers, moving Griffin would continue a makeover of a franchise that has never made it past the second round of the playoffs. The Clippers traded All-Star point guard Chris Paul to Houston last summer. He had been credited with bringing respectability to the team that was once the laughingstock of the league. Without Paul, Los Angeles won its first four games to open the season, and then lost nine of its next 11. The team is one game above .500 going into Tuesday night’s game against Portland. Paul’s replacement, Patrick Beverley, has missed the entire season after right knee surgery. Also missing time have been DeAndre Jordan, Danilo Gallinari, Austin Rivers and Milos Teodosic. Published: Jan. 29, 2018, 9:26 p.m.